Baby, it’s cold outside. But that’s great news, because cold running means more calories burned off! Find out more. Do you love running outside at this time of year, or shy away from it? If you avoid running on cold days, or if you take your Winter running training to the treadmill, this might convince you to get outside and run. Scientific research is clear on this one: being cold burns significantly more calories than being hot, warm or comfortable temperature. It’s because the body has to work harder to stay at a balanced temperature. There’s no need to head out in the snow in just a t-shirt, though. Research shows that running at levels of NST (non-shivering thermogenesis), where you’re chilly but not actually shivering, is enough to boost calorie burn. Some experts believe our bodies are actually primed to lay down fat stores over Winter. By getting outside and running, we can challenge this evolutionary urge, helping our bodies stay leaner, lighter and slimmer all through Winter. Beat the urge to hibernate! 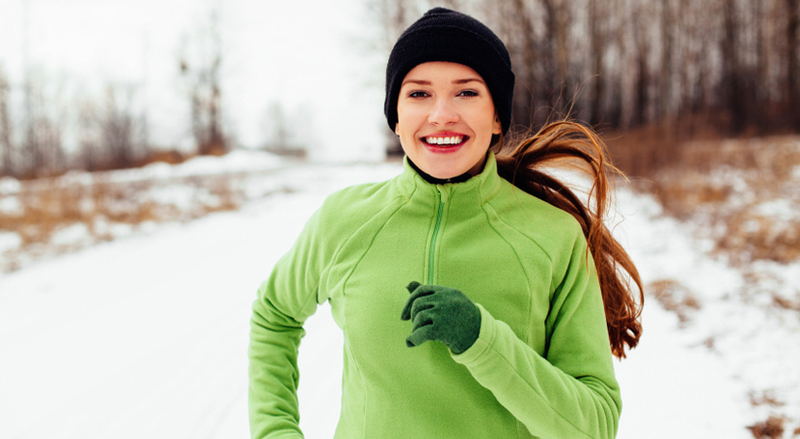 It might not feel like it to you, but your body actually prefers running in slightly cold weather. Heat stress has a big impact on the body (think hot, humid weather). Ever wondered why most marathons and half-marathons are in Spring or Autumn? The body actually finds it a lot easier to run in cold weather. So, you’re off to a good start! We already know that running is a great way to lose weight or maintain a healthy body weight. 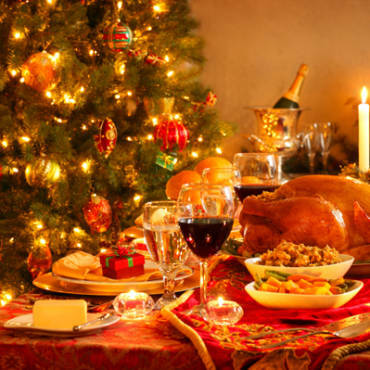 This is particularly useful after December and January when Christmas, New Year and the party season can threaten to pile on the calories. Keep your running routine going at this time of year and you’ll do your heart, waistline and health a huge favour. If you suffer from SAD or have ever felt low, listless and lethargic at this time of year, you’ll know it can be a downward spiral. You don’t feel like running, so you don’t go, then you end up feeling even less energetic, and your daily energy levels plummet. The great news is that outdoor running in Winter can fix this. Go for a run. Feel great! Get a rush of endorphins and other happy hormones. Feel more energised, and expend more energy during the rest of your day. Look forward to your next run! Finally, simply getting outside to run over Winter could give you the headspace you need to stay calm and balanced over a hectic time of year. If you have found Christmas and the start of the New Year stressful, stick to your outdoor running schedule. You’ll find that sense of peace all runners love. Which means you’ll return home (or to work) feeling happier, and much less likely to comfort eat, emotionally overeat, or make other poor diet decisions.